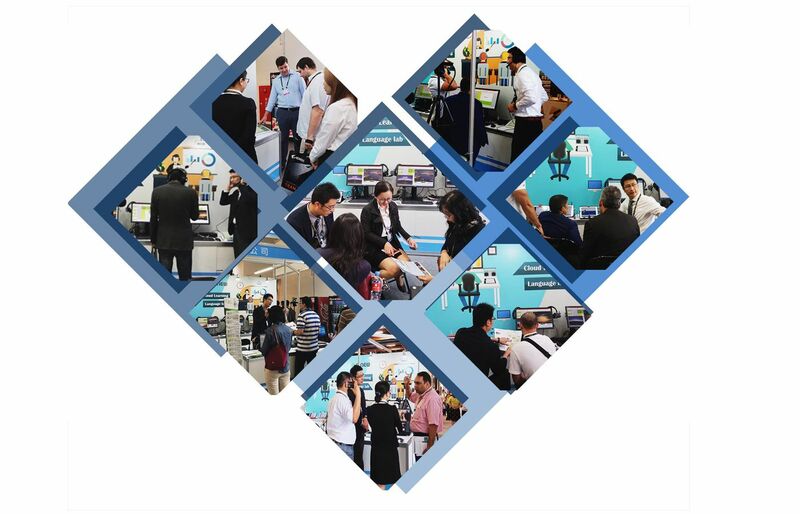 Fantastic 2017 computex show held from May 30 to June 3, we, SINEW TECHNOLOGY, located on Hall1 B0236, are honored to meet over 1000 visitors locally and internationally including Taiwan, Saudi Arabia, Denmark, Poland, Italy, UK, France, Australia, Dubai, Iraq, Iran, Turkey, Singapore, Thailand, Indonesia, Bengal, Vietnam, China, Japan, Korea, etc. Educational solution, what we focus and market over 20 years, fulfills current teaching& learning requirement with hardware and software basis. The latest DBS-HD features with prompt & quality HDMI signal broadcasting, designated & group oral communication, online help call, Wi-Fi devices presentation, interactive response system, etc, to help teacher constructs an efficient and interesting learning environment. e-plus lab5, pure language learning software, easily realize two-way audio, video and oral communication by installing software program in teacher’s and students PC separately. Definitely, it is a must-have tool to acquire target language skills enjoyably and be motivated. The most attractive product undoubtedly is the interactive tablet teaching system. Expected functions such as audio & video broadcasting, e-painter, chat room, files transfer, remote power on/off, observe are accomplished by common tablets wirelessly. Talking about live streaming and recording solution, we supply easy, professional and full function models alternatively. It is also another favorite for educational demand, conference, remote learning and system integration. M2 cloud, vivid& interesting video-on-demand platform integrates multimedia documents/e-books to share & manage via cloud. Users can store & play by PC/tablet/Smartphone anytime& anywhere without limitation. VPS wireless presentation, a convenient & useful system, specializes in wireless projection through mobile devices, tablet, laptop, PC. Every visitor who saw our demonstration at the show, they all loved it. Application: Distant learning, conference room, etc. Also, Sinew provides HDMI & digital signage solution. With multiple interfaces: SDI / DVI / VGA / HDMI / POE, transmit the HD sources to single or to multiples by CATX cables. Even, by integrating hub, HDMI splitter, video walls multi-viewer, they can carry out various commercial and business projects.